I've always found the music of Michigan songwriter Sufjan Stevens to be comforting but up until now I've never been sure why. His folk-pop albums, especially "Seven Swans", are beautiful but I've lost touch with him over the past few years as his work has gone off on a tangent. After two experimental records, Stevens has returned to his folk roots and his time in the electro-orchestral wilderness has strengthened him. 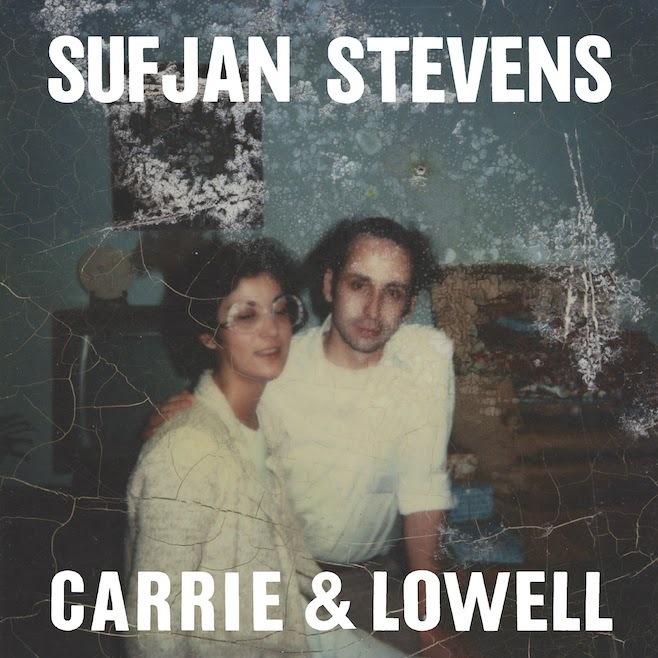 "Carrie & Lowell" contains his most stripped-down sound to date with the plaintive guitar backed by a supporting cast, including Laura Viers, although their contributions can easily go unnoticed until the third or fourth listen. But in contrast to the fragility of the music, emotionally these are some of his most powerful songs and it suddenly becomes clear why I have always found such a feeling of warmth in his work. Put simply, Sufjan Stevens reminds me of my dad and of his record collection that was a constant presence in our house during my childhood. Particular reference points are Simon and Garfunkel, or more delicate Beatles moments such as "Blackbird" or "Norwegian Wood". But most of all, these are the kind of songs that my dad would have written had he been a musician. On previous albums, Stevens has cunningly woven autobiographical elements into tales of fictional characters, and there was never a clear border between the two. Similarly my father would regale us with tales of his life, mostly untrue but the aim was to entertain rather than deceive. He clearly dreamed of being a performer and told us stories of his fictitious music career; he even convinced my sister that he had once been in the Beatles. In reality his musical ability was sadly limited, as is mine. So we have both had to settle for basing our writing and storytelling around the creativity of real performers. Although there are moments here that are almost certainly fictional, Stevens has produced something that is rather more personal than previous efforts. The people in the title are his mother and stepfather; the album tells of the former, who left when Stevens was a child. He recounts memories of her but as his time with her was limited to the occasional holiday it's likely that many of these are pure fantasy, his idea of what a real childhood would be like. Again, I can imagine my father writing songs about the strained relationships with his own parents and siblings; the difference being that those songs would likely have been full of sarcastic humour (another trait he shared with me) while the songs on "Carrie & Lowell" display a touching sense of forgiveness. After seven albums, it seems that Stevens has finally found the confidence to be truly open with his audience. The nakedness of the instrumentation here means that there is actually very little that I can say about it. Any attempt at a description would be similarly sparse so instead, I encourage you to listen to the album and, hopefully, purchase it. For me, there is nothing like unwrapping a physical album and reading the lyrics for the first time so I strive to avoid hearing new songs until the product is in my hands. Those of you who don't share my old-fashioned perspective might choose to listen to the full album stream that is available below. Whether you see parallels with your own upbringing or simply immerse yourself in the singer's own story, you cannot fail to be moved.